For this scarf tufts of roving were wrapped around the lengthwise edges of the prefelt. 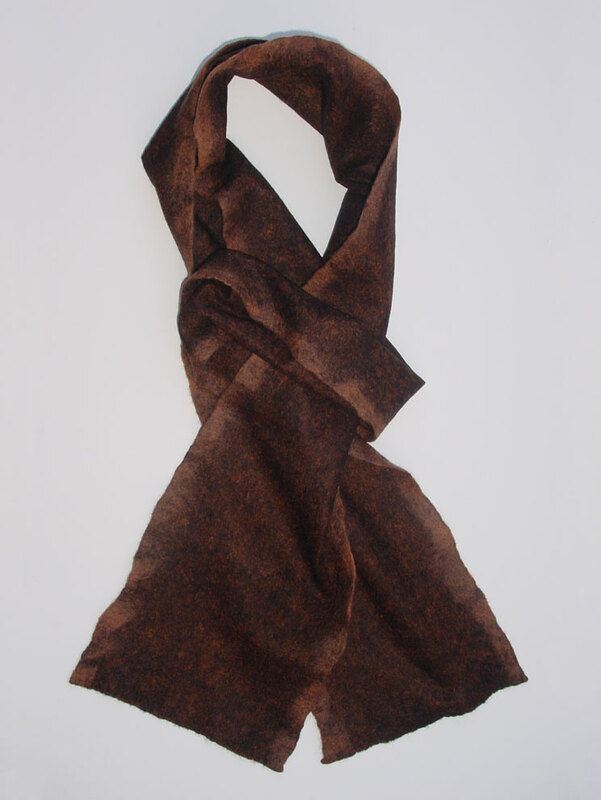 The scarf was felted with a sander and fulled with a controlled approach of folding and dropping. This scarf is made by felting, not nuno felting, because it is soley prefelt. Therefore you can start the felting with hot soapy water. Finished size: ~ 7 1/2" x 73"